Author Ben Wolf is breaking new ground in Christian fiction with his latest release, Blood for Blood. He dares to ask the question: Can a vampire be saved? As soon as I heard the premise and saw the cover, I knew this was a book I had to get my hands on. I dove in and I was not disappointed! Ben crafts a tale that is not for the faint of heart. It is riveting, honest, and entertaining. He writes in such a way that even those not normally drawn to the darker side of fiction will be swept away and find themselves unable to put the story down. Blood for Blood is set in Northern California, circa 1885. A vampire, Raven, stumbles upon a tent revival while looking for his next victim. Instead, he finds much more than his next meal. He meets the Reverend Luco Zambini, who takes him in and teaches Raven about redemption, forgiveness, and the idea that no one, even a vampire damned for eternity, is too far gone to be restored by the power of the blood of Christ. Raven finds himself wanting to believe and at the same time reticent, unable to grasp that God would ever accept one such as himself. As he gets closer to accepting Christ, he begins to fall for the minister’s daughter, Calandra, much to the dismay of her vampire hating fiancé, Garrett. All of them are caught up in a chain of events that will change their lives forever. Blood for Blood takes the reader on a wild ride and illustrates beautifully that no one is beyond the reach of the power in the blood of Jesus. Once I had read the story, I simply had to speak to the author and find out more. First, I asked Ben to tell us a little about his literary career: Ben is the founder and executive editor of Splickety Publishing. They publish three separate flash fiction magazines. Havoc is geared for the speculative fiction fans, Love is their romance publication, and Prime is the flagship of Splickety. 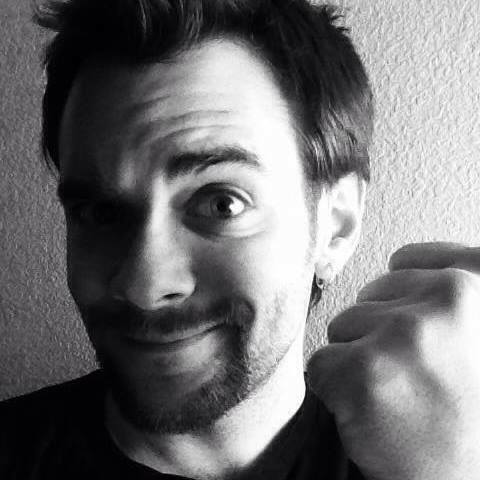 Aside from writing, Ben is a freelance editor in high demand, and is the unofficial co-director of the Realm Makers, a writing conference that focuses on the Christian speculative fiction genre. 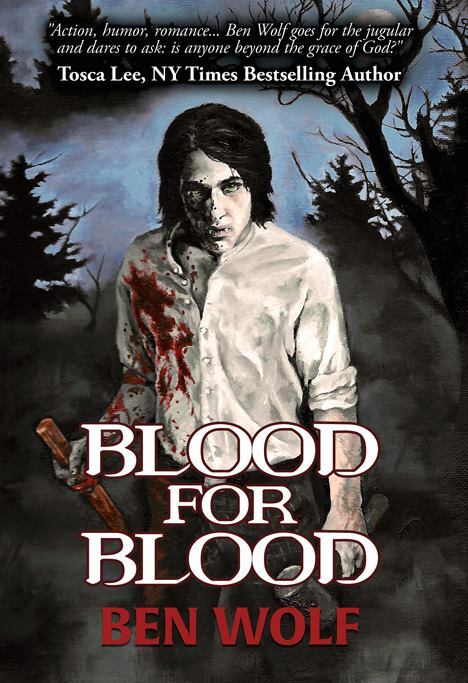 One question that begged to be answered was: where did the idea for Blood for Blood come from? He laughs as he says he stole it from a friend! At a conference in 2009, he and his friend engaged in a conversation about a crazy idea. How funny would it be if a vamp got saved and what would that look like? They discussed how ironic it would be if said vampire went to a tent revival, got roped into helping out, and was handed a wooden stake and a mallet. “How awesome would it be for him to be looking at them and thinking: these are used to kill me and here I am using them to help further the Kingdom of God.” He pitched it to his agent Julie Gwen and she loved it. Since he wasn’t able to sell it to a traditional publisher, the book was self-published and released on Halloween 2014. With the popularity of vampire stories set in modern time, I wanted to know why he chose to write Blood for Blood as historical: He had just come away from writing an historical action/adventure western story and the time period was fresh and he had extensive research. “To take it back there was a natural thing. In order to have the big tent revivals and those were a central part of the entire concept. Had to be there and fit. They didn’t hit their main swell until the early 1900’s, so I predated it a bit. I was more comfortable with that earlier time period. I ended the interview with a question I ask of all the authors I speak with. What is your favorite verse and/or quote for inspiration? Psalm 23:4 is the theme verse for the book, namely focusing on ‘He restoreth my soul’. “We don’t have to fear evil if we have God on our side, the God of the universe walking next to us, protecting us. Whatever happens in this physical life, we have Him with us.” His personal favorite verse is Romans 8:28. ” It promises that if we love God and are called according to His purpose, He’s gonna take care of us. So really, the only thing we have to worry about is loving God. The second is already done, we don’t have any choice because God calls everyone to do something for Him and ultimately, something that will fulfill us as well. This reassures me when I have doubts and struggled. I would like to thank Ben for allowing us a peak into his process and giving us a lot to devour. I hope that all of you will pick up a copy of Blood for Blood and remember to leave a review on Amazon, Goodreads, or any other site you typically use. If you want to follow Ben, you can find him hanging out on Facebook or at his website: BenWolf.com While you’re checking out the site, be sure and sign up for his newsletter. Not only are you sure to be kept in the loop, but there are some terrific free gifts. Two issues of Splickety publications featuring Ben’s stories and other freebies, yours just for joining. Don’t miss out, because seriously, who doesn’t love freebies? Contest!! Leave a comment below telling us what your thoughts are on this subject and your email address, and be entered to win an e-book copy of Blood for Blood! Winners will be chosen at random. Drawing will be held on Friday, February 13th. What a great way to bring some good luck to the day!